A monthly religious periodical serving the Welsh Unitarians of London and Wales. 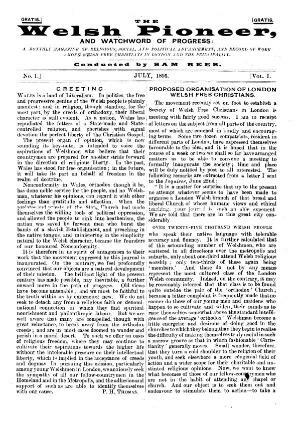 The periodical's main contents were articles on religion, mainly espousing a liberal theology, and advocating the establishment of an organisation representing London's Welsh Unitarians. The periodical's editor was the journalist, author and minister, David Delta Evans (Dewi Hiraddug, 1866-1948).